CHARLOTTE, N.C., February 9, 2018 /3BL Media/ – Duke Energy has filed two more renewable energy programs with the North Carolina Utilities Commission (NCUC) to expand renewable energy options for its 3.2 million customers in the state. North Carolina is second in the nation for overall installed solar capacity. Duke Energy has more than 35 solar facilities in the state. Both programs must be approved by the NCUC before they can be offered to customers. The N.C. Shared Solar program allows multiple customers to adopt solar energy without having a facility located on their property. Customers will subscribe to the output of a nearby facility and receive a credit for it. By law, costs for Duke Energy’s shared solar program cannot be subsidized by non-participating customers. The proposed program includes working with communities and stakeholders to minimize costs to participating customers. To gauge customer interest, the company proposes starting the program with approximately 1-megawatt (AC) facilities in the Duke Energy Carolinas and Duke Energy Progress territories. The company will launch a request for proposal process after the NCUC approves the program. In the meantime, the company will reach out to solar developers to see what types of projects are best suited for the program and gathering input from local communities to help increase accessibility. 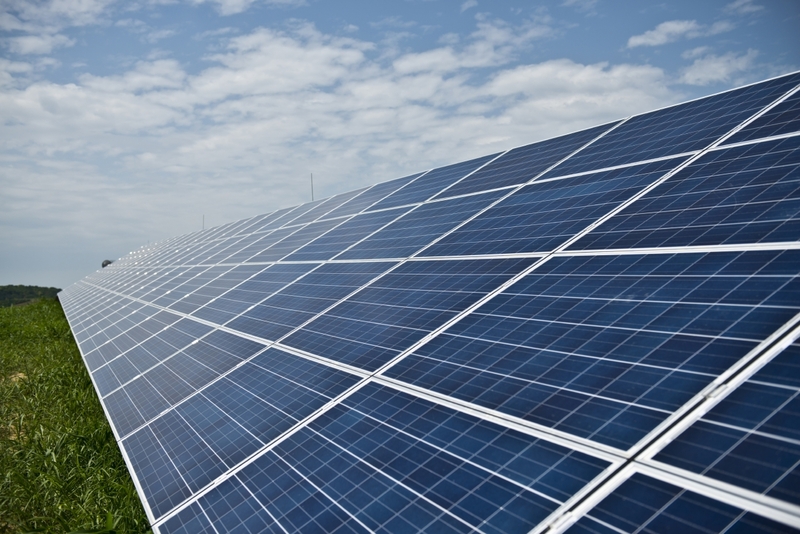 The proposed Green Source Advantage program provides military installations, University of North Carolina institutions and large nonresidential customers the option to secure large amounts of solar or other renewable energy to satisfy their sustainability or other clean energy goals. The program gives customers options on how they procure renewable energy. They may choose to purchase renewable energy at competitive prices through the existing competitive bidding process, or self-supply by partnering directly with a solar developer. The program also gives customers flexibility in how they procure their renewable energy and their ability to negotiate contract terms. The law allows up to a total of 600 MW of reserved renewable energy capacity over the five-year life of the program. From that 600 MW, 100 MW of capacity will be reserved for major military installations, 250 MW of capacity will be reserved for the University of North Carolina system, and the remaining 250 MW will be available for large nonresidential customers. These customers must have energy demands of at least 1 MW of peak demand at a single location, or an aggregate of 5 MW or more of peak demand across multiple locations. The Green Source Advantage program builds on successes of the company’s former Green Source Rider program, which helped three major companies secure solar power for North Carolina facilities in 2015 and 2016.